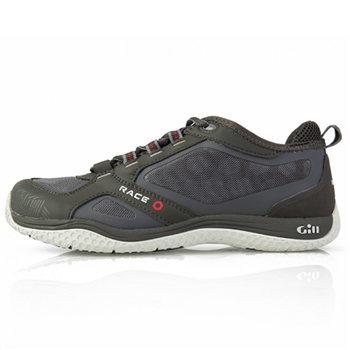 When it comes to performance sailing footwear, it doesn’t come better than the new Race Trainers from Gill. Part of their technical Race Series, they offer optimum impact protection with their cushioned insoles and moulded toes; they drain water just as quickly as it comes in and they’re lightweight, so you’ll almost forget you’re wearing them. But the real advantage of these race shoes over others is their super-grippy sole, which has 80% contact with the deck.